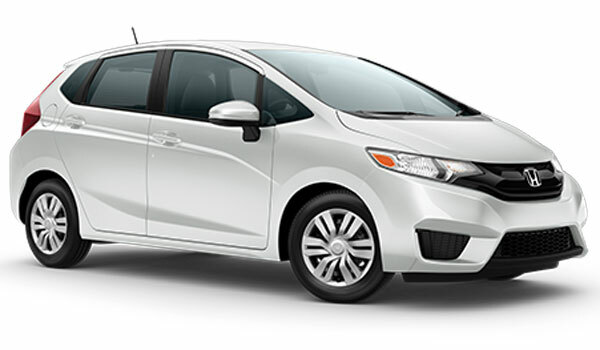 Goshen and Monroe drivers comparing the 2016 Honda Fit to the 2016 Kia Rio are after a fun, efficient, and versatile subcompact, and they often choose the Fit for many reasons. Here’s how these two vehicles stack up to each other, which should make it clear why the new Honda Fit is a popular choice..
LX: Premium technology comes standard with the entry-level LX. Drivers will find reversing easier than ever thanks to the multi-angle rearview camera with guidelines, while the second-row Magic Seat allows for versatile storage configurations, and cruise control lets you sit back and relax during long journeys. 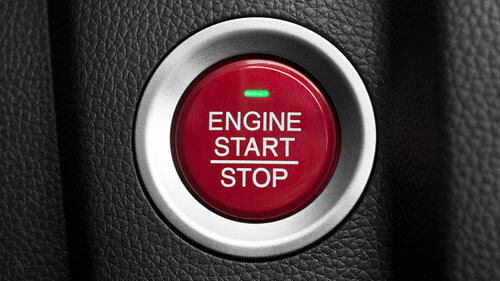 EX: The EX adds a Honda LaneWatch system for superior visibility and push-button start functionality for convenience. The multimedia system is controlled from a 7-inch audio touchscreen, and a one-touch power moonroof provides a panoramic view of the sky above. EX-L: The EX-L boasts leather-trimmed seats – heated in the front – a leather-wrapped steering wheel, and plenty of cutting-edge technology features. It’s everything you’d expect from an upper-level trim. The 2016 Kia Rio is also available in three trims, but the standard features just can’t match what the Honda Fit offers. LX: The entry-level Rio stands on 15-inch steel wheels and comes with a 4-speaker sound system. EX: Comes equipped with a leather-wrapped gearshift knob and front fog lights as standard. SX: The Kia Rio’s upper-level trim includes a push-button start system and features aluminum pedals. 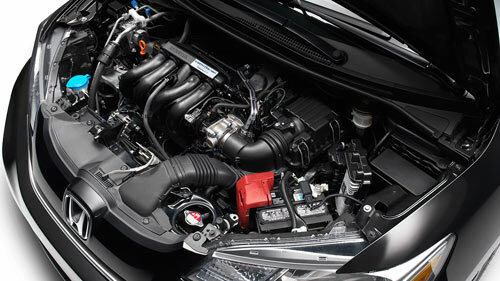 The 2016 Honda Fit enjoys agile handling and remarkable responsiveness thanks to its I-4 engine that relies on direct-injection to produce 130 hp and 114 lb-ft of torque for a spirited drive. This engine is mated to your choice of either a 6-speed manual or continuously variable transmission (CVT). The manual will deliver an impressive 29 mpg in the city and 37 mpg on the highway,* while CVT boosts those numbers to 33 mpg city and 41 mpg highway* in LX models. 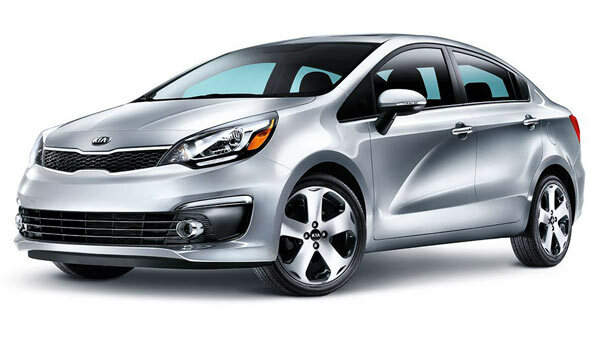 The 2016 Kia Rio also uses one engine across all trim levels, but opts for brute force over efficiency. Its 1.6L I-4 generates 138 horsepower and 123 lb-ft of torque, but its mileage ratings peak at just 28 in the city and 37 on the highway. If you want to spend less time and money at the pump while still enjoying strong performance, the 2016 Fit is the vehicle for you. The 2016 Honda Fit is renowned for its roomy, flexible cabin. There’s over 95.7 cubic feet of passenger space and up to 52.7 cubic feet of storage room, markedly more than the 88.4 cubic feet for occupants and 49.8 cubic feet of cargo space offered by the new Kia Rio. The Rio also lacks the 2nd row Magic Seat by Honda, which allows you to arrange your Fit into four separate storage configurations. Utility Mode: Fold the entire second row to fit anything up to a small couch. Long Mode: Flip the passenger-side rear and front seats, and find room to slide in long items, which competing subcompacts can’t match. Tall Mode: Fold the Magic Seat up for almost 4 feet of vertical space. Refresh Mode: Remove the headrests, fold back the rear seats, then kick back and relax to recline the whole length of the car. 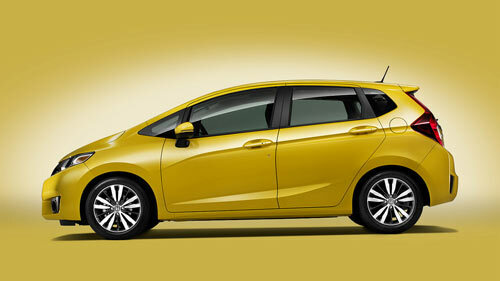 Remote Keyless Entry: Easy access comes standard with the 2016 Honda Fit, but costs $1,200 extra in an entry-level Rio. Cruise Control: Every driver deserves to relax a little during long journeys, which is why the Fit offers cruise control as standard. Rearview Camera: For confident reversing in tight or crowded spaces, just turn on the rearview camera. Both the 2016 Honda Fit and the 2016 Kia Rio are equipped with a generous array of standard safety features, but only the Fit boasts more advanced technology. 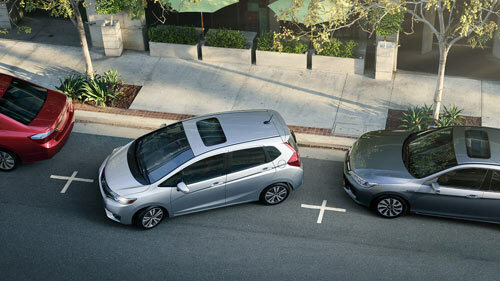 For example, the available Honda LaneWatch feature provides four times the visibility of a standard side-mirror, keeping you from possible collisions when changing lanes or merging. Safer, larger, more efficient, and with a stronger list of standard features, the 2016 Honda Fit makes you wonder why anyone would setting for a 2016 Kia Rio. Come enjoy the 2016 Honda and visit Middletown Honda to take one out for a test drive.